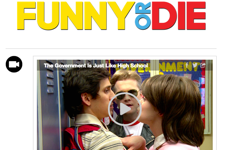 Funny Or Die runs one of the funniest Tumblr blogs around, with hundreds of thousands of highly engaged followers. In October 2012, Funny Or Die started using Union Metrics' Tumblr analytics to determine the blog's most engaging content, most effective tags and most avid fans. Read our case study to learn more about how Funny Or Die uses analytics to stay sharp on Tumblr.